So this week's Bulldog cartoon has a guest writer...Lady Paintmonkey! (Or to be exact: Sugarmonkey. Visit her facebook page or blog.) 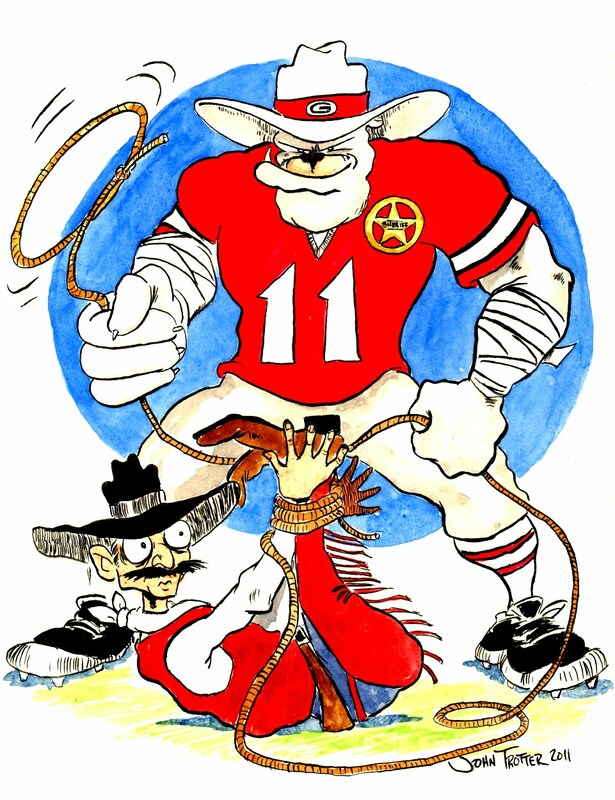 This week is UGA's homecoming so they are playing the WAC division powerhouse New Mexico State. And by "powerhouse" I mean, of course, "oh my god, Georgia is beating them 49-3 in THE FIRST HALF". 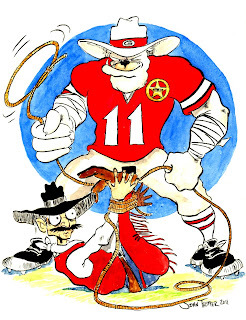 I found out who the NM State Aggies were and what their mascot was but I was having a devil of a time coming up with a gag. Enter the Sugarmonkey. She suggested the hog-tying of their mascot which is much cleaner and more socially acceptable than her usual suggestions. So here is this week's offering. Honestly, I quit watching the game. I've got the radio broadcast going in the background but I'm not paying too much attention. That was ugly. Be sure to be here next week! Exciting fun stuff from the Paintmonkey!